Invader sent his stud value rocketing when he scored a brilliant win in today’s Group One Sires’ Produce Stakes (1400m) at Randwick. 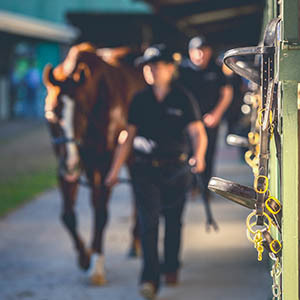 Connections, originally disappointed with missing a start in the recent Golden Slipper, were left to celebrate on Day One of the Championships when their prized colt cruised to victory. Invader was allowed to settle off the speed and the only issue for jockey Hugh Bowman was attaining a run in the straight. Momentarily blocked for a run, he was able to switch off the heels of runners before balancing up and then unleashing a powerful burst to hit the front and then clear away. It was an important win for Invader and he becomes the first colt this season to win a juvenile race at Group One level. 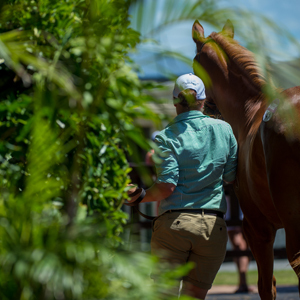 He was purchased by the China Horse Club for $475,000 from the draft of Arrowfield Stud at last year’s Magic Millions Gold Coast Yearling Sale. 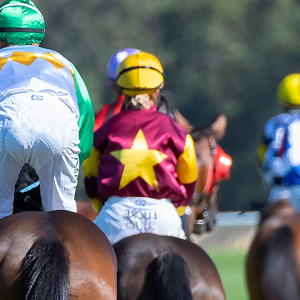 Others to share in the ownership of the valuable youngster are Newgate Farm, Aquis Farm, Matthew Sandblom’s Horse Ventures and America’s WinStar Farm. Invader is prepared by the father-son training team of Peter and Paul Snowden and they were suitably impressed with the handling from big race rider Hugh Bowman. “He has always looked to us like he has wanted 1400 metres and he got an absolute peach of a ride,” co-trainer Peter Snowden said. 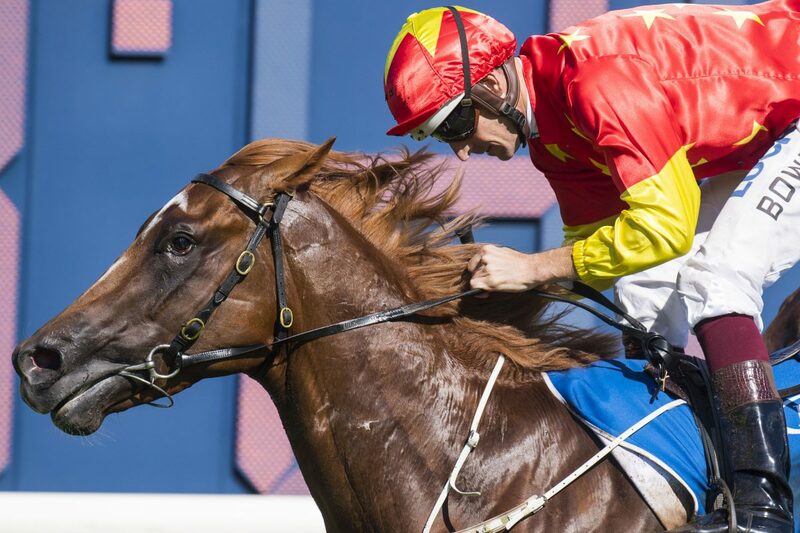 Snowden was mindful the colt has already had a trip to the Gold Coast and said he would wait before deciding whether he was a chance to back up next week in the Group One Champagne Stakes. For Bowman, the Sires’ Produce success continued his great form and he predicted a bright future for Invader. “That (win) makes this horse the best colt of his era, as a two-year-old, so that makes it very exciting for his connections, and to be a part of his ride is very special to me,” Bowman said. “I thought he won with authority at the end,” the regular rider of fellow Magic Millions graduate Winx said. A half brother to group winning Australian and Hong Kong sprinter Not Listenin’tome, Invader is from the stakes winning Encosta de Lago mare Flame of Sydney. 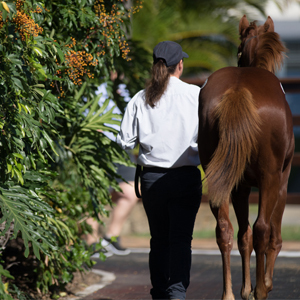 Invader led home a perfect result for former Gold Coast Yearling Sale Group One winner Snitzel with the Arrowfield Stud based champion siring the first three runners over the line in the feature juvenile event. 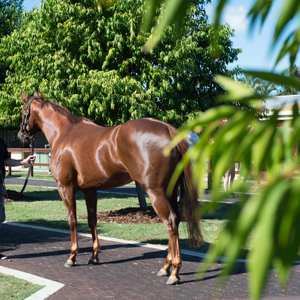 Like Invader, Snitzel also ran in a Magic Millions 2YO Classic on the Gold Coast before ultimately heading to stud. Invader’s connections will be hoping he makes a similar impact as a sire.